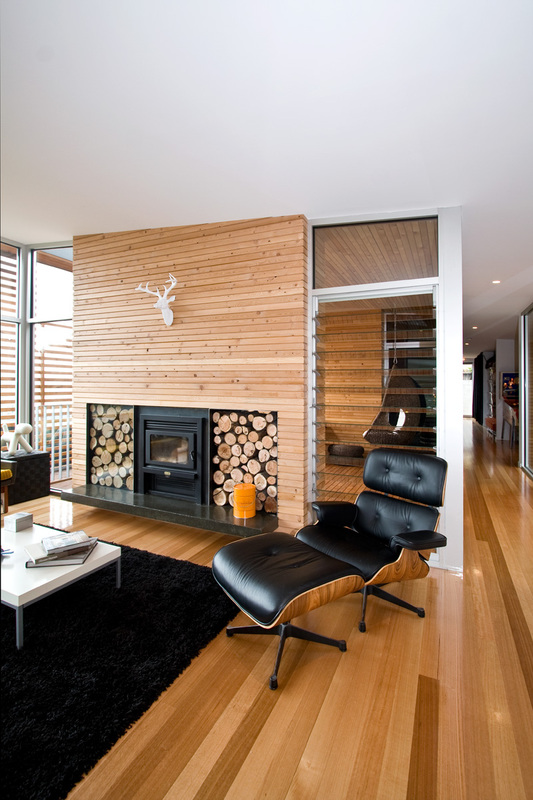 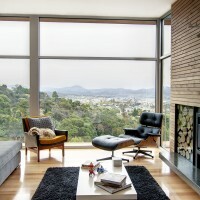 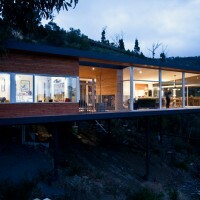 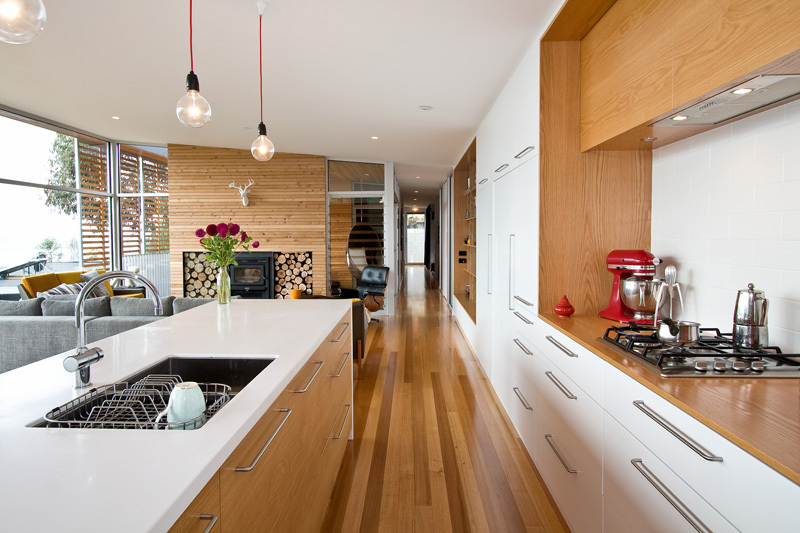 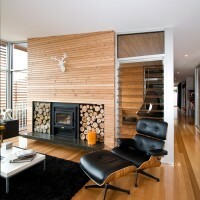 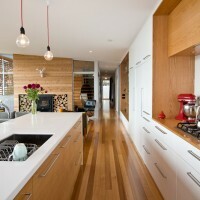 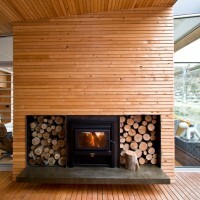 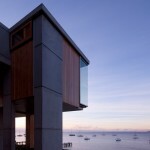 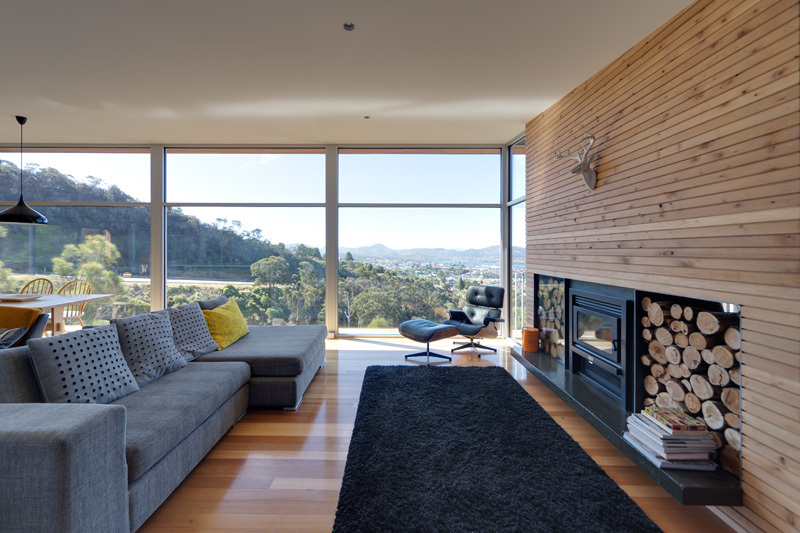 Room 11 Architects designed the Highway house, a home that overlooks the city of Hobart, in Tasmania, Australia. 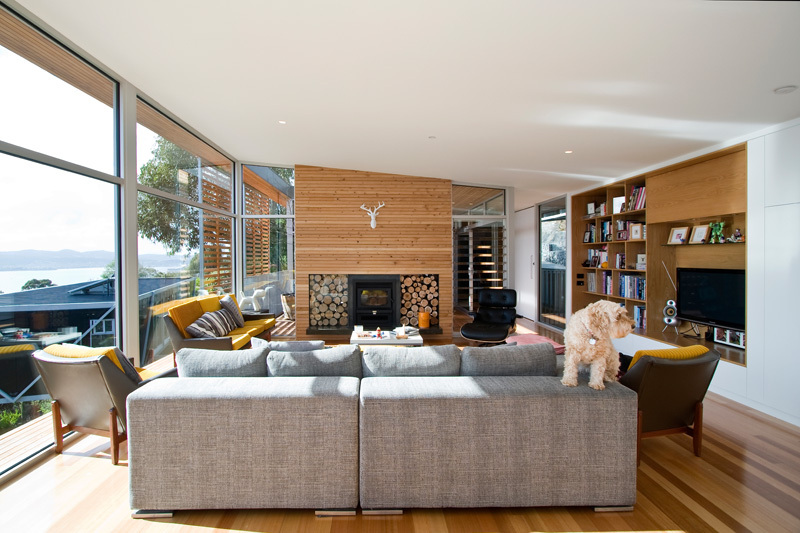 Floating along the sheer slopes of the southern outlet, this compact single level house is arranged as an east/west elongated box, with all rooms facing North for solar gain, natural light and the expansive view of the Derwent River and the City of Hobart beyond. 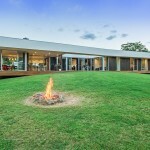 Living areas are shaded in summer by both the roof overhang and custom external battened screens that slide the entire length of the Northern facade. 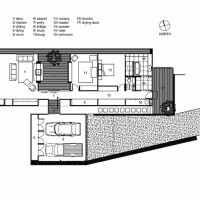 Accessed via a bridge and southern circulation spine, the internal spaces are divided into private and public areas by a central enclosed deck with a roof void to allow sun and breezes into the depth of the plan. 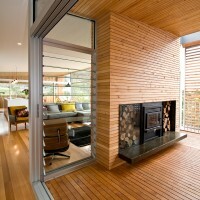 A covered deck to the west provides summer afternoon shade to living areas. 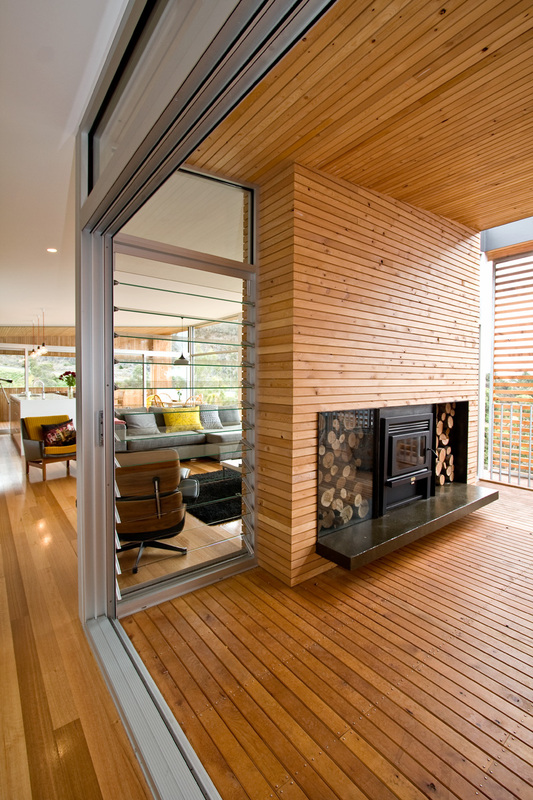 The two external decks that break the plan allow for a series of sliding doors and galleries of louvered windows to aid in natural cross ventilation. 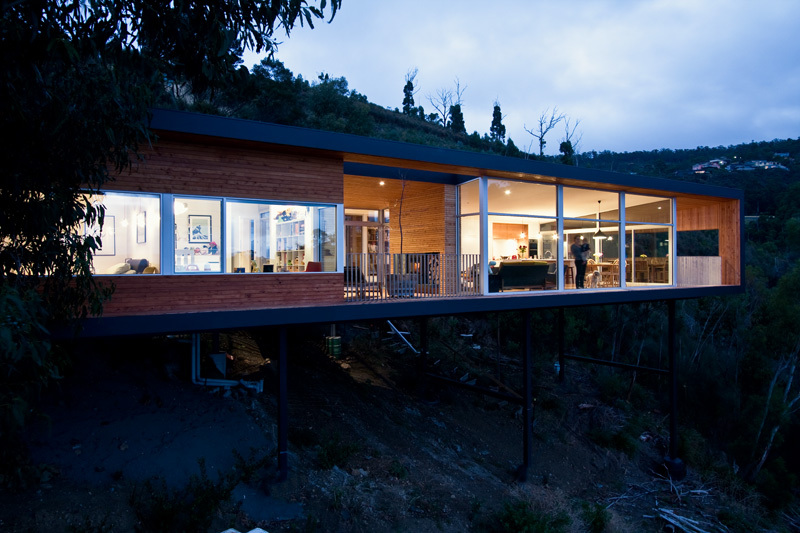 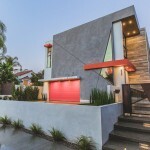 The house is a glass and lightweight timber framed elongated box perched on a steel cradle. 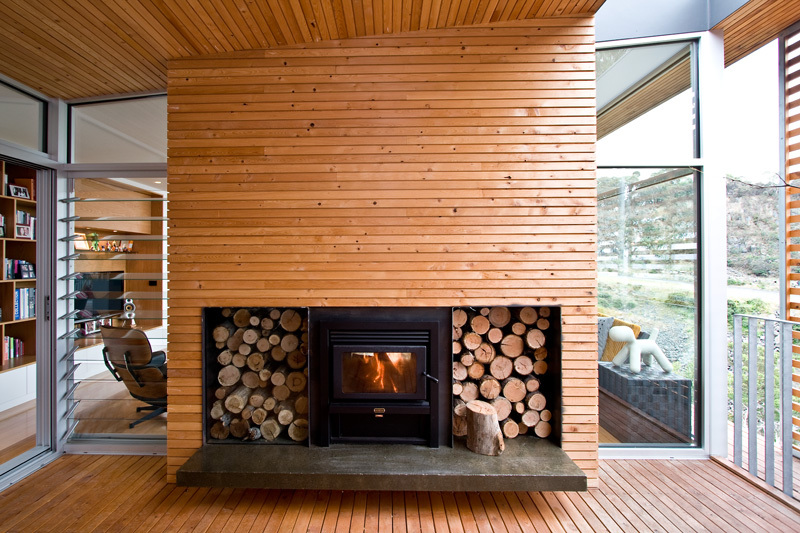 The dark painted fibre cement external sheet cladding and steel roofing provide a counterpoint to the warm celery top pine lining and decking.